Severity of the Injury – The type of injury you sustained, as well as its severity, is by far the most important factor. The more severe the injury, the higher the value. Yet, many injuries are not noticeable until days or weeks after an accident. By not seeing a doctor, you risk delaying your treatment and further injury. Even minor soreness can be an indication of a more significant injury. When you do see the doctor, make sure you detail any complaint you may have, no matter how minor. It is not your role to play doctor and evaluate the importance of a symptom you may be experiencing. Amount of Medical Expenses and Wage Loss – The amount of your medical expenses is a factor in determining the value of your case. Usually, higher medical expenses mean a higher case value. But that is not true in all cases. In addition to past and future medical expenses, past and future wage loss plays an important factor in valuing your case. Liability – You must be able to prove that someone else is responsible for your injury in order to be compensated. If you were not responsible, it will likely be easy to establish liability. However, if you are partially at fault, your percentage of fault will be subtracted from the amount of your award. For example, in a disputed intersection car crash, the jury might determine that you are 50% at fault and the defendant is 50% at fault. So a $100,000 recovery would be lowered to $50,000. 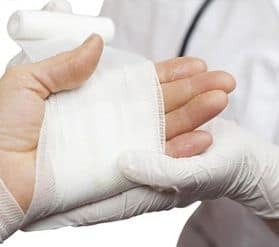 Amount of Insurance – Like the old saying goes, “you can’t squeeze blood from a turnip.” The same holds true in personal injury cases. In most cases, one’s recovery is ultimately controlled by the amount of liability insurance the defendant carries. Nevertheless, an at-fault party who does not have insurance may be covered by another person’s insurance policy. If the at-fault party was acting in the scope of his employment at the time of the car accident, he/she may be covered by his/her employer’s insurance. Additionally, if your own auto insurance policy provides you with uninsured motorist coverage, you may be compensated by it. In essence, uninsured motorist coverage takes the place of liability coverage for the at-fault driver and provides an injured person with an ability to make a recovery for outstanding medical bills, lost wages, pain and suffering and other damages. Personal injury cases vary substantially in value and each case dependent on its own facts. It is impossible to answer such a question until you have finished medical treatment or until your case has been reviewed. Sometimes, case value cannot be determined until well into a case—when issues about liability and the extent of damage are better understood. If you have questions about the potential value of your case, please feel free to call Attorney Gordon Glover at (352) 205-4495 or (888) 989-1123 or contact us online for a free initial consultation and case review.